Windows 10 is a great operating system and it comes with a pack of useful features, one of them being the calendar app. While the native Windows 10 calendar serves its purpose well, some of us may want more horsepower with the calendar app. Some may want a calendar app with more customization options and extra features. Others may want it simpler, perhaps with striking looks and a fancy live tile. Whatever the case, the Windows Store has a nice selection of calendar apps for Windows 10 to choose from. The best Windows 10 calendar apps come with extra features, are highly customizable, and offer various view options. Some of these apps are available on Windows PC as well as on mobile devices, giving you all the flexibility you need in and out of office. 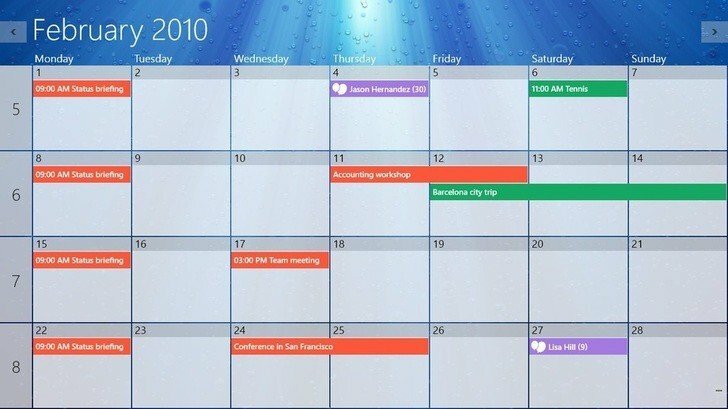 In this article, we will discuss the best calendar apps for Windows 10 that give you excellent feature packed tools. 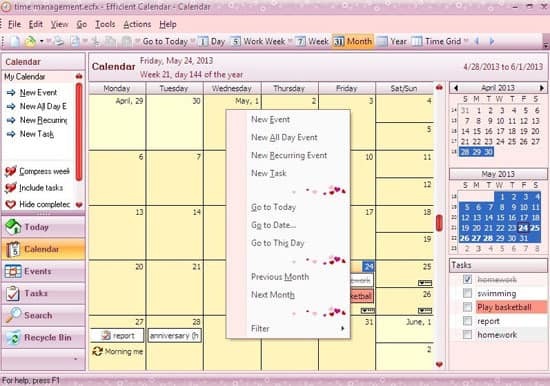 This calendar software will impress you with its intuitive interface. You will find the most important features you need in a calendar on the left side of the calendar. You can access the calendar, tasks or events without problems. You also have some sort of ‘assistant’ which pops up so you can select the dates of your planned events. You can also choose the priority level of your tasks in order to simplify your decision-making process, especially during the work. This calendar allows you to invite others to join your events and to manage their acceptance. You also can add documents and files to your meeting events. In this way, you will be sure that you don’t have to search for text documents or presentations through your computer and embarrass yourself in front of your audience. One Calendar is a smartly dressed calendar option that lets you pull all your calendars under one roof. Available for Windows 10 mobile and PC, One Calendar is highly customizable and comes with a ton of attractive features. 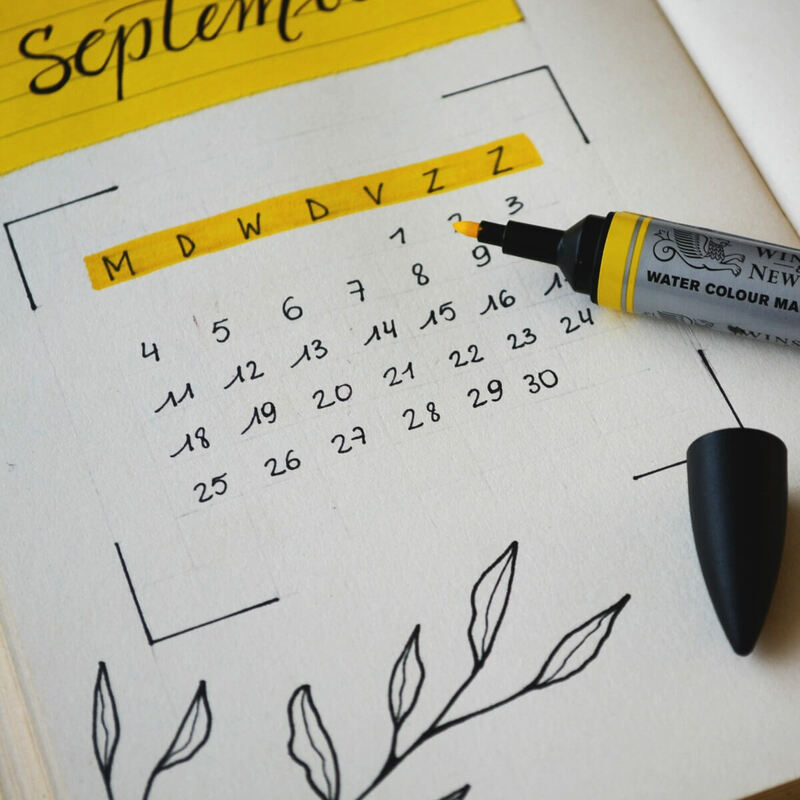 It offers a central place for you to view all your calendars like Google calendar, Exchange calendar, Live/Outlook calendar, as well as Facebook events. One Calendar allows you to add, delete, and update appointments with the day, week, month and years. Some of its most attractive features include lock screen, customizable support, live tile, semantic zoom, calendar themes, and an easy search that allows you to quickly search all your appointments. However, most of these features are available with the premium version, which goes for $4.99. One Calendar supports multiple languages, and the best part is that you don’t need an internet connection to view and manage appointments. Available for both Windows 10 mobile and PC, Hope calendar is simple, yet loaded with a host of features for all your business needs. What makes it even better is the fact that you don’t need to adjust any settings on your device as it just integrates with your existing calendar and outlook settings. It supports Google calendar, Office 365, Exchange, Yahoo, Outlook, and more. However, if you prefer not to view some calendars from the Hope calendar, you can filter them out in the Hope calendar settings. The design is beautiful and minimalist. There is a Heat Map feature that shows you when you are free and when you are busy while the beautiful large tiles show up to five appointments. Hope calendar comes in two versions; Free version, which is ad-supported and the ad free pro version priced at $2.49. And since Hope calendar is a long term project, we expect to see more improvements and additions to the calendar in the near future. My calendar is one of the best calendar apps for Windows 10. The app is highly customizable and comes with a ton of useful features. It comes with many customizable options for calendar views, which enables you to easily switch between calendar views to see different days in different views. In addition, it comes with several beautifully designed live tiles to choose from. My Calendar app comes in two versions; free and paid. The free version is ad-supported and comes with great features. The pro version is ad-free and comes with additional features such as task management, enhanced internal birthday calendar, and enhanced calendar views. You can try the Pro pack for free for 5 days after app installation. All in all, My Calendar is a great calendar option for Windows 10. Hailed as one of the most beautiful calendar apps for Windows 10, Chronos Calendar + is stylish and comes with a ton of attractive features. The app is feature rich and offers synchronization between all your calendar accounts. You can even customize the calendar appearance to match your style. The appearance is clean with rich live tile customization and many different calendar views. The key features include rich live tile customizations, smart add feature, moon phases and zodiac calendars. The smart add feature allows you to jot down quick texts when adding new events while the live tile customization allows you to change the background color, font size, as well as the content you want to be displayed. Chronos Calendar + is priced at $2.49 and is available for Windows 10 mobile and PC. Power planner is the Holy Grail, the mother of all calendar apps for students. The app is the ultimate homework planner for students, featuring grade calculations, and features to enable students to manage homework and track classes. And with the Power Planner online account, you can manage everything from anywhere, be it on a desktop or on mobile devices. 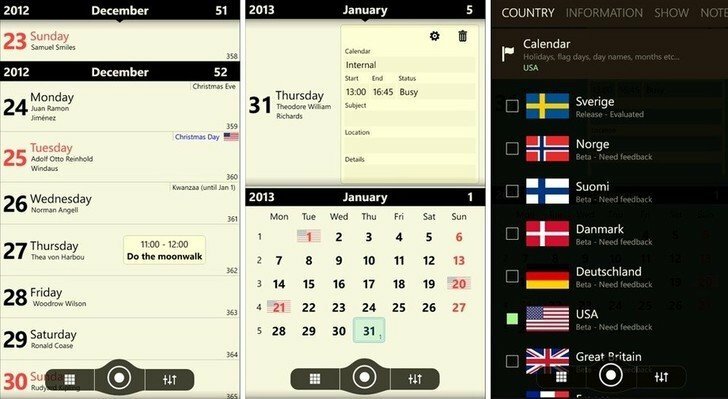 The calendar also comes with other attractive features such as live tile, online sync, and automatic reminders. 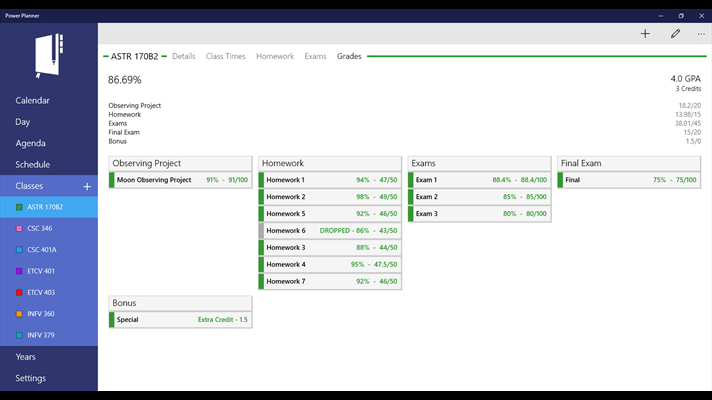 You can even pin a schedule tile that will show you when and where your next class is. The app seamlessly integrates with Outlook calendar and is able to sync everything across different platforms and devices. Power Planner is available for free (with limitations) but you can upgrade to unlock all the features. 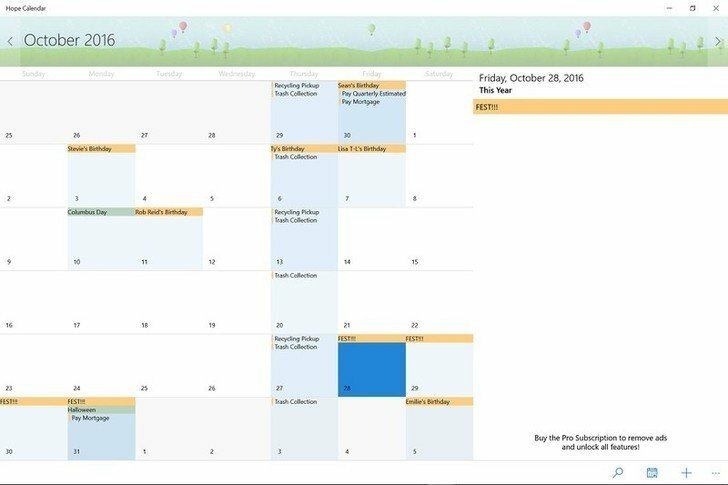 The best calendar apps for Windows 10 excel in both appearance and features. They have beautiful live tiles that are customizable and offer different views. They also integrate well with your other calendars, allowing you to view them all from one central point. Our list of the best calendar apps for Windows 10 includes the calendar apps that check all these boxes. We hope that in going through this article you will find the best calendar app for your Windows 10 devices. Editor’s Note – this article has been originally published in December, 2016. 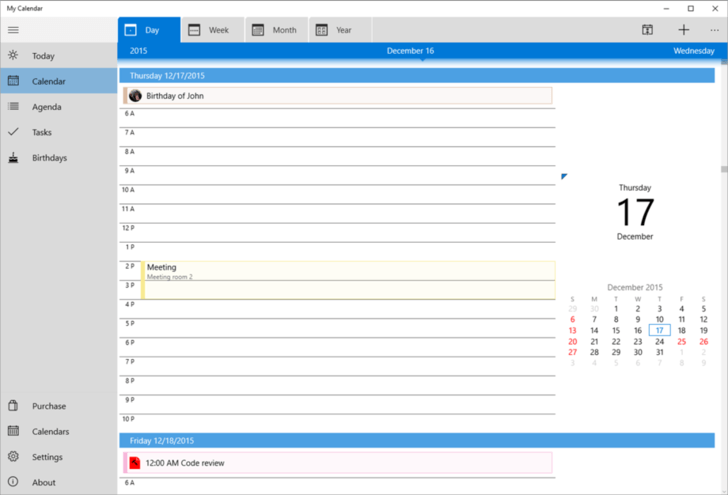 We have recently updated it to include even more calendar apps for Windows PC users.